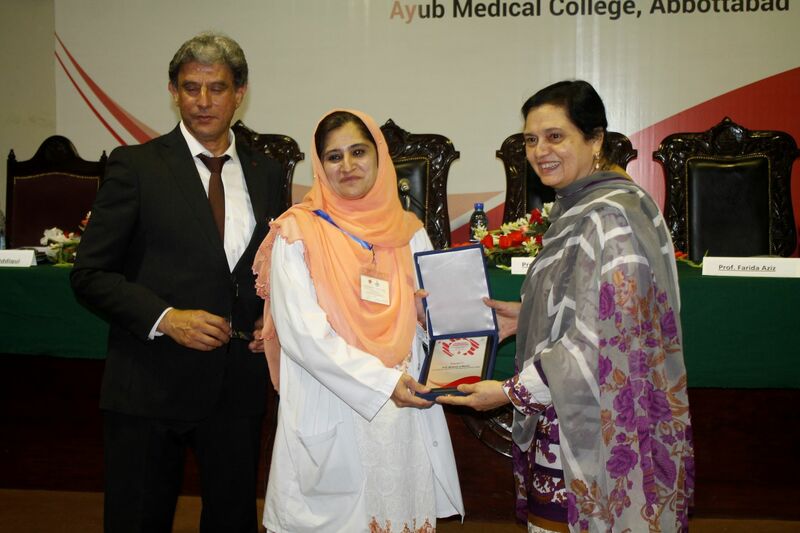 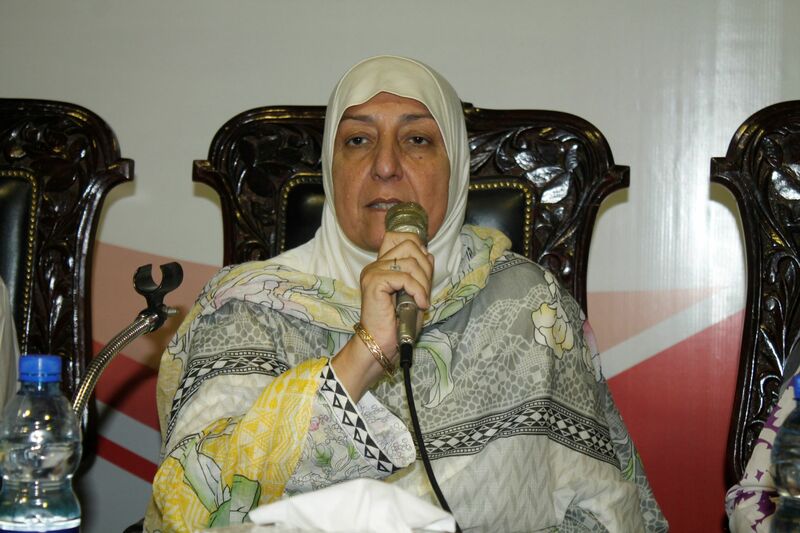 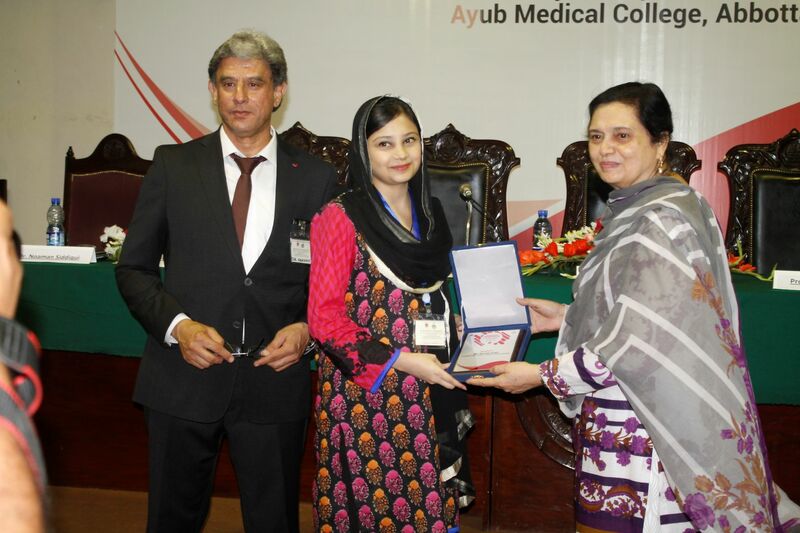 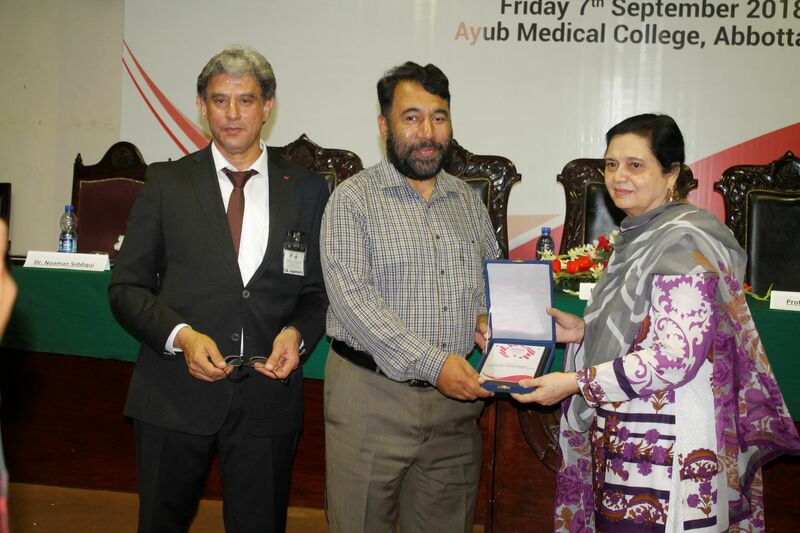 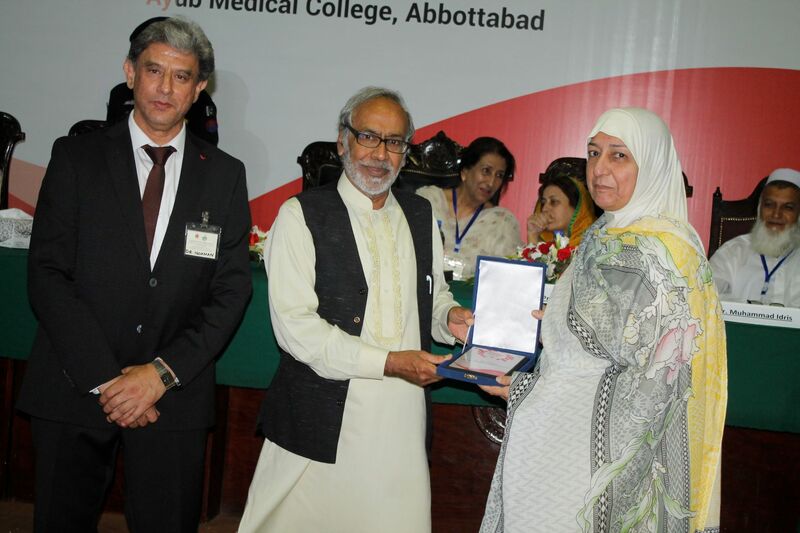 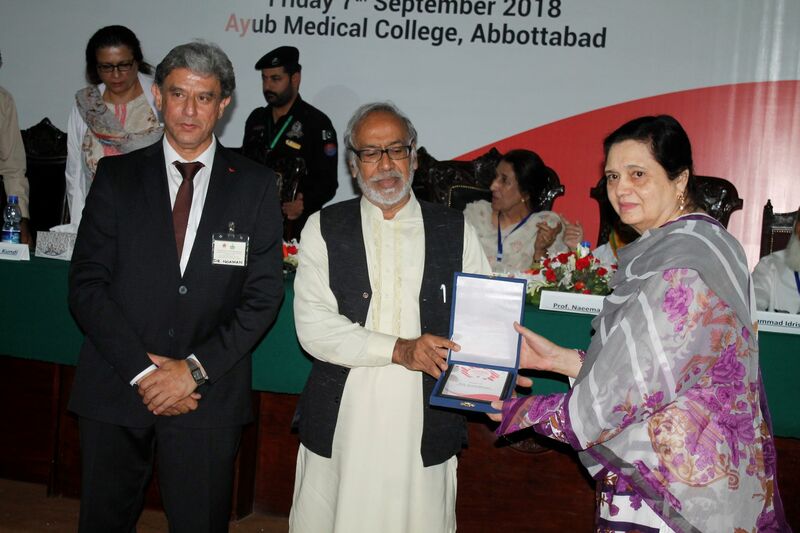 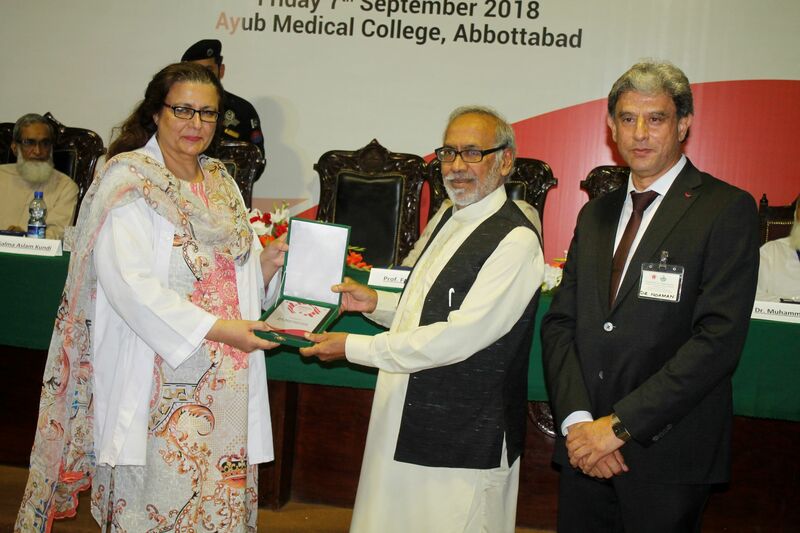 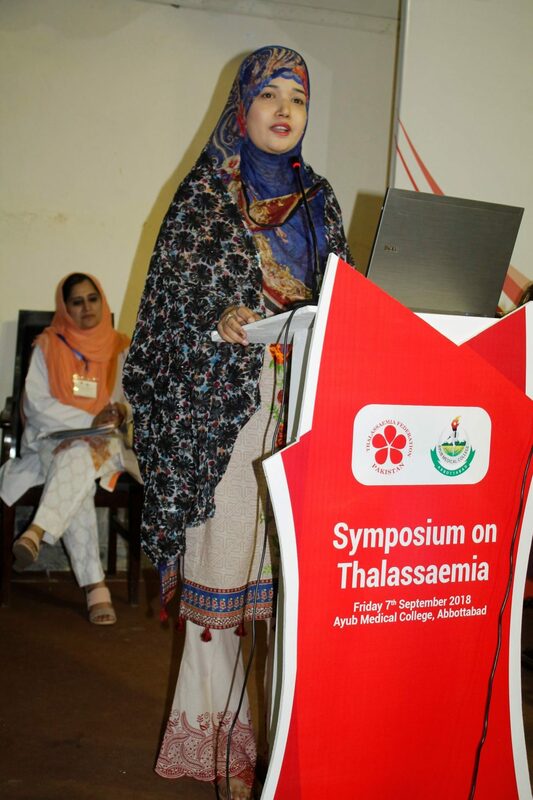 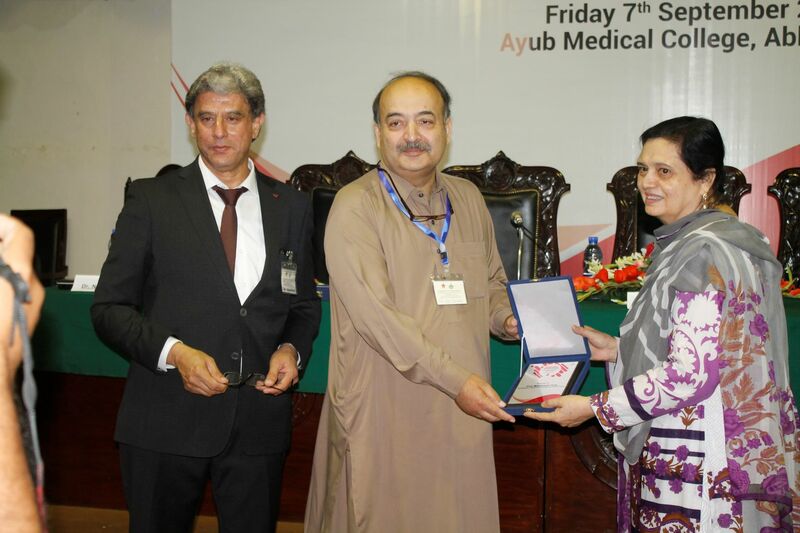 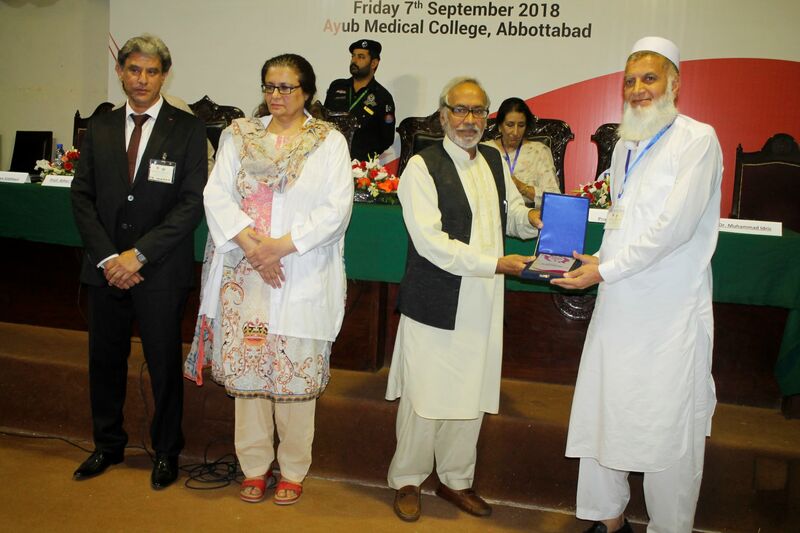 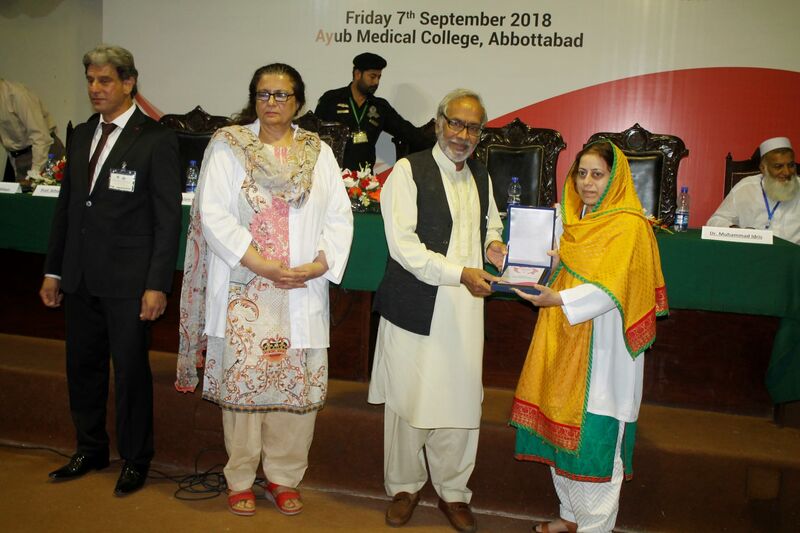 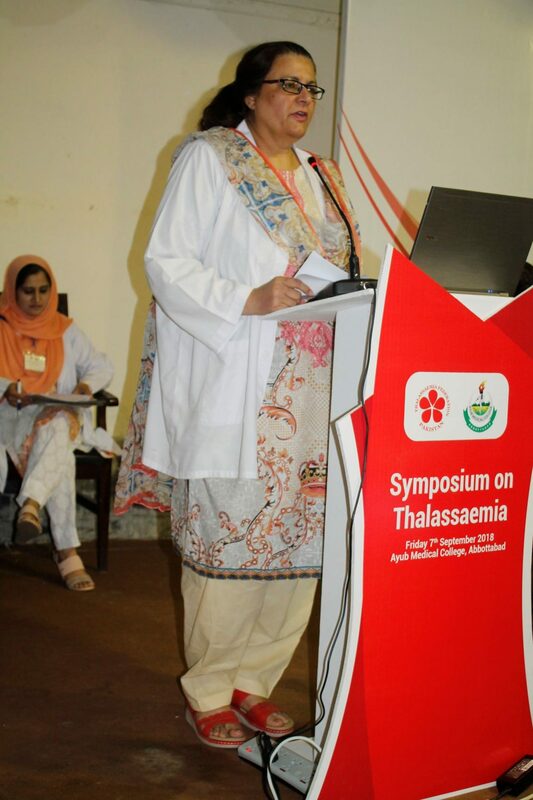 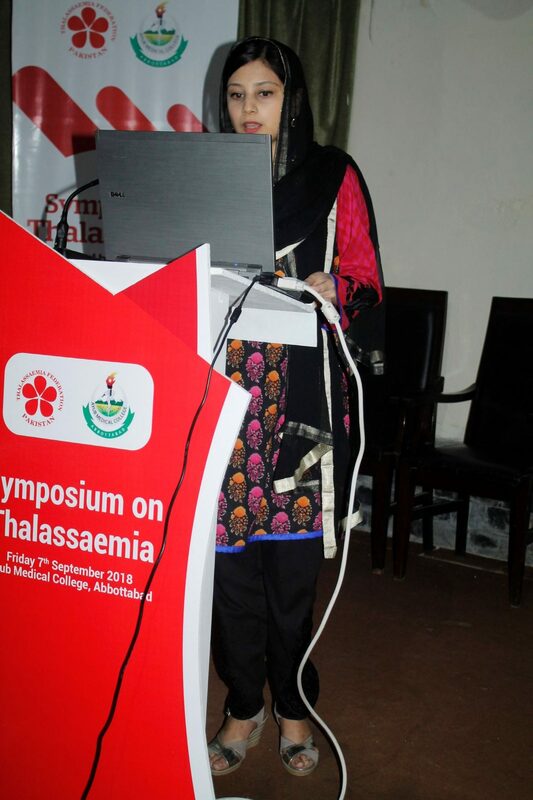 Prof. Salma Aslam Kundi, Dean, Ayub Medical College, Abbottabad welcomed the guests and highly appreciated the untiring efforts of the organizers in arranging this symposium. 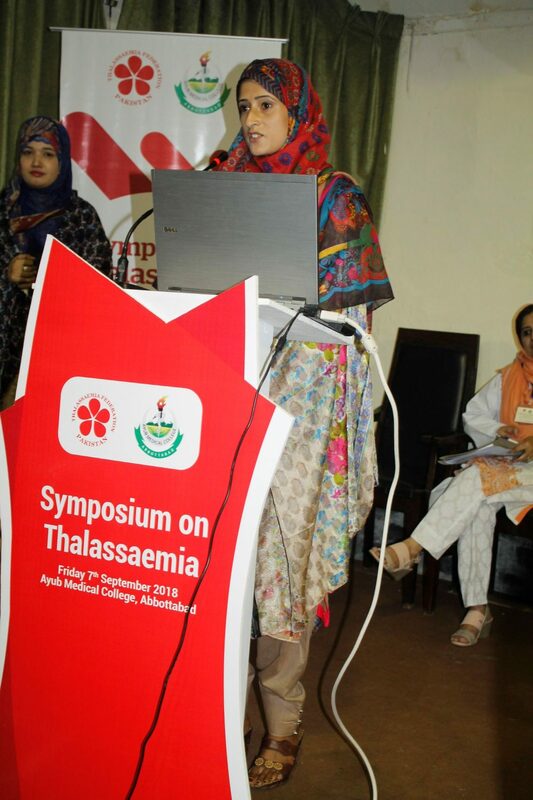 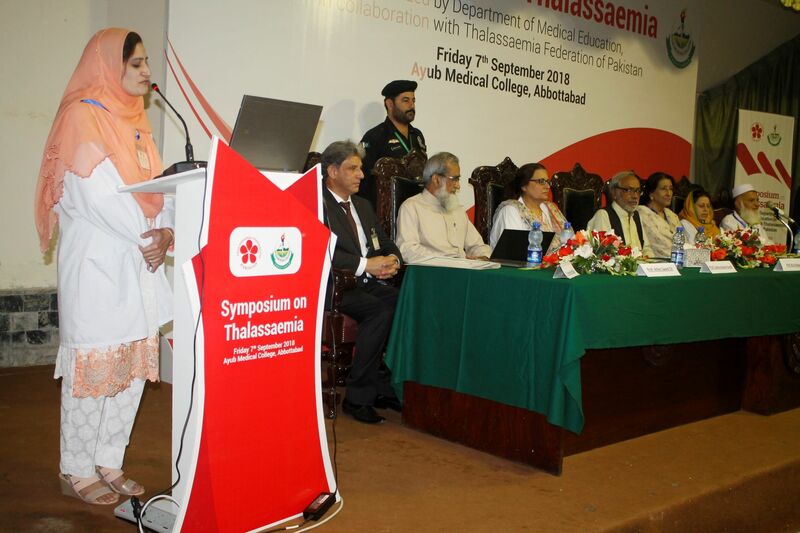 She said that Thalassaemia is a precarious issue and needs to be tackled on priority basis. 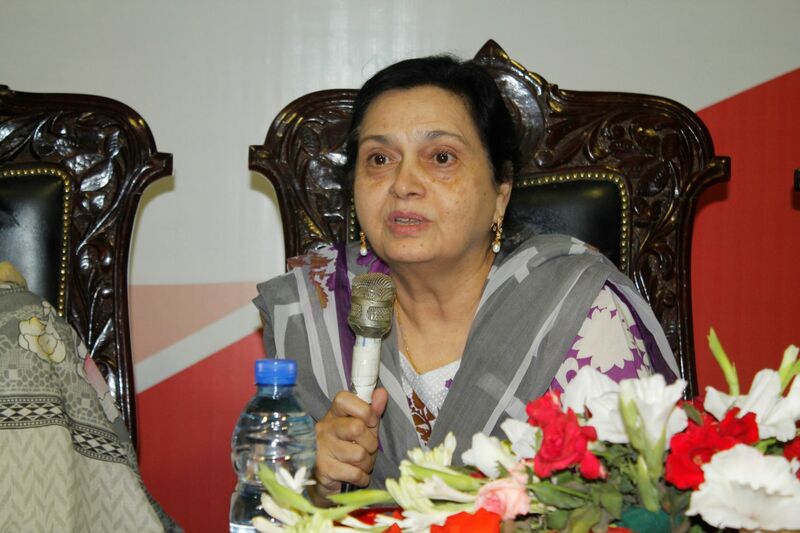 She assured her full cooperation in organizing such academic activities in future as well. 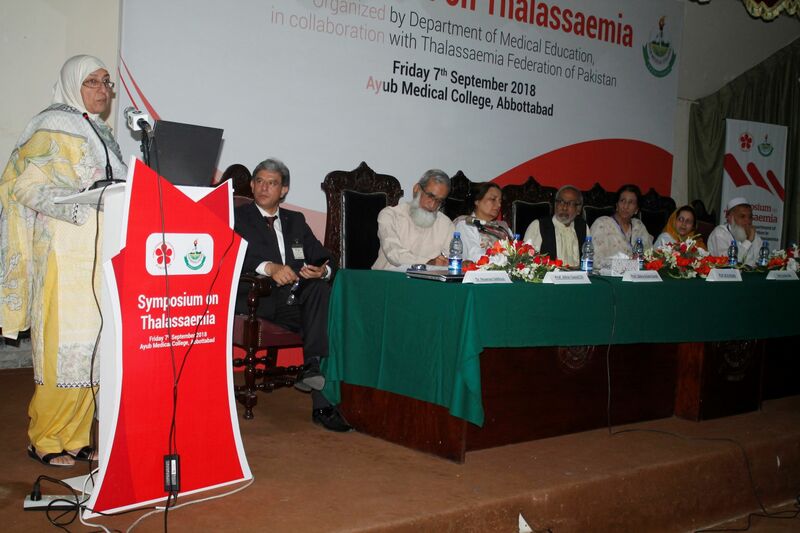 In his address to the audience, Prof. M.A. 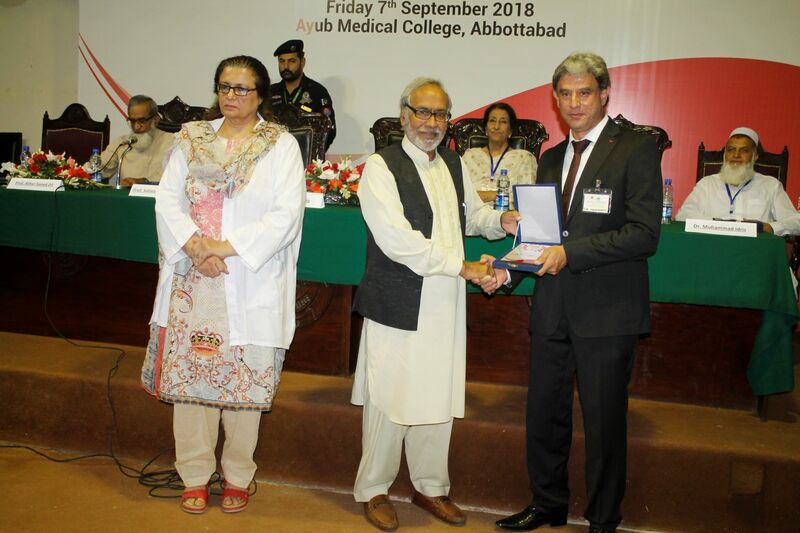 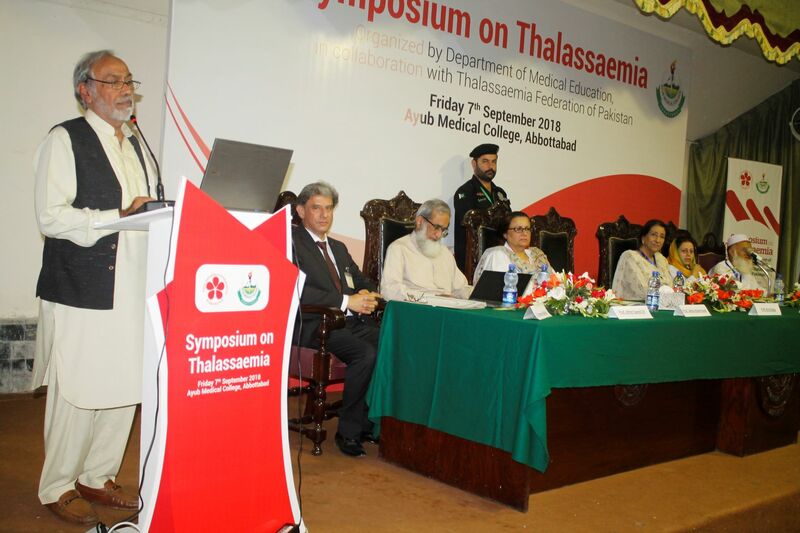 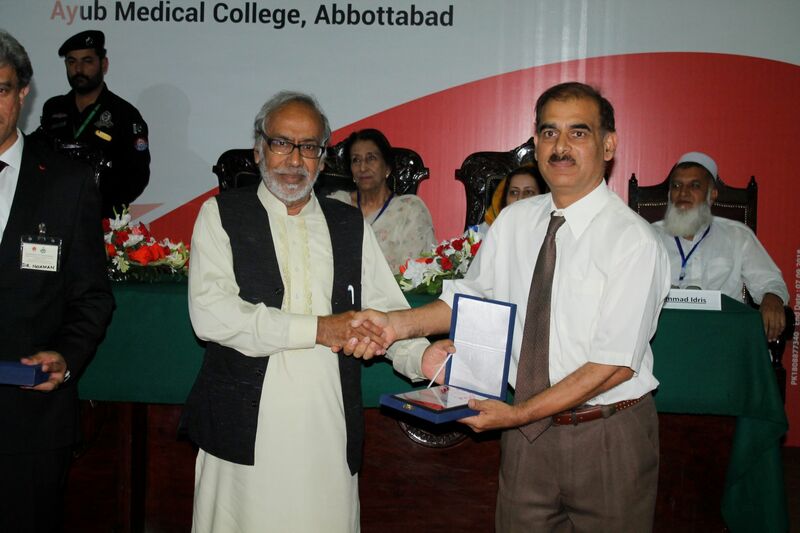 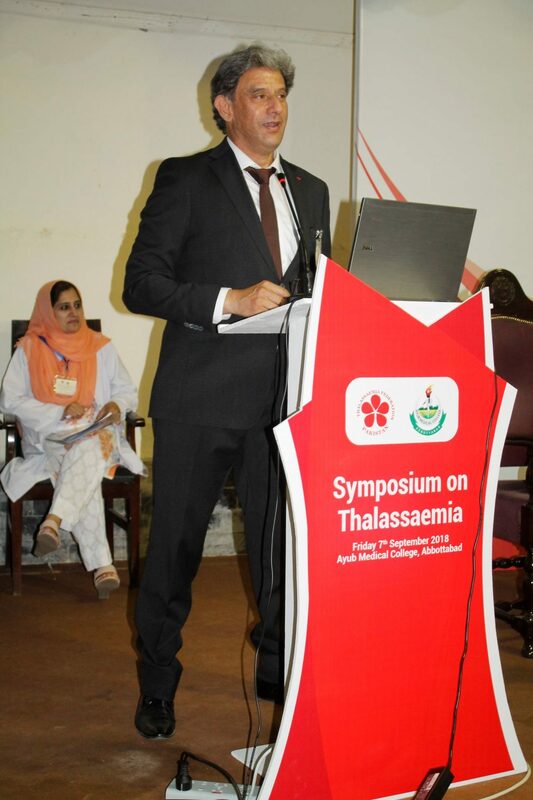 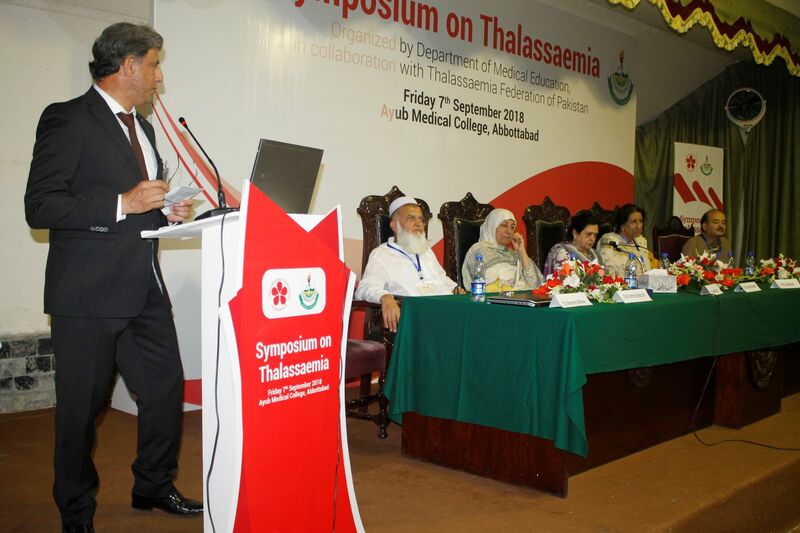 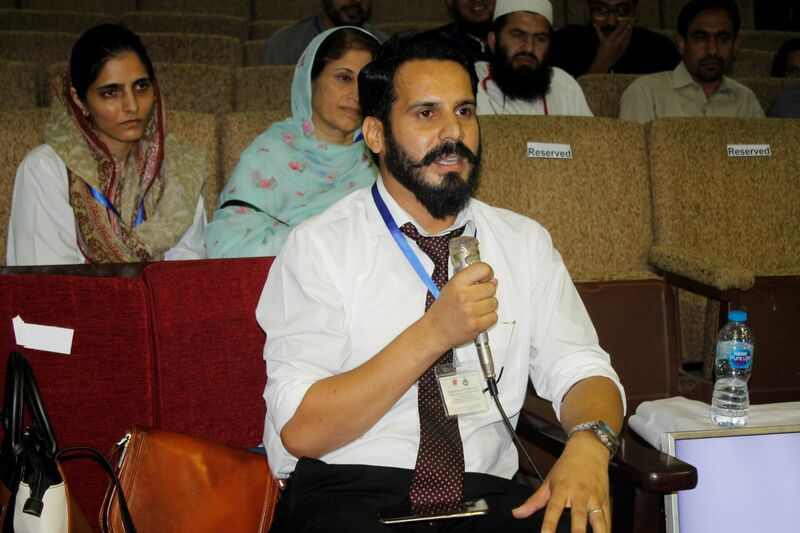 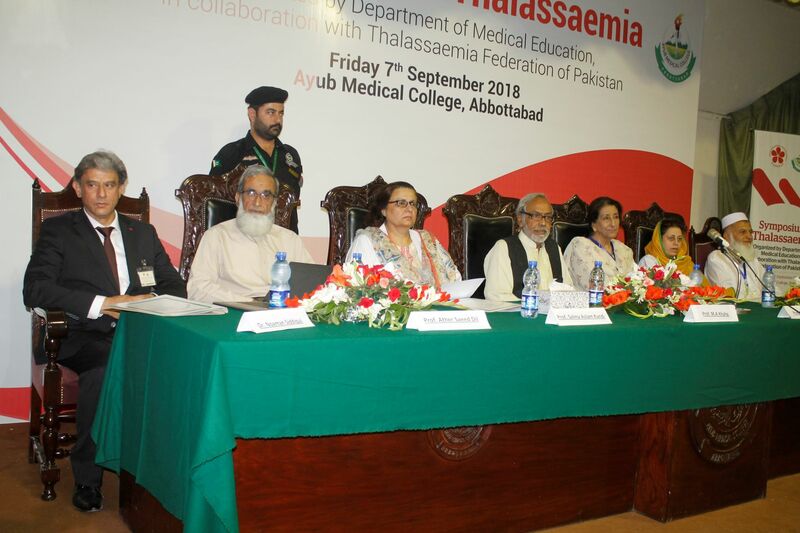 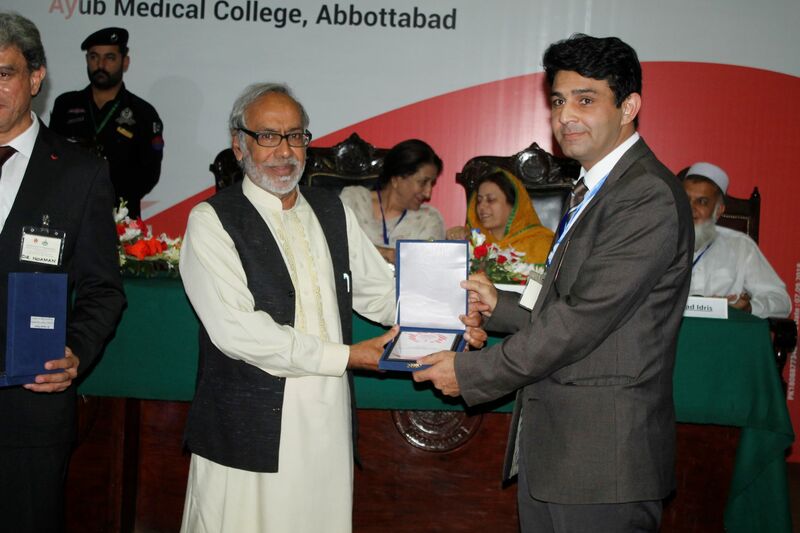 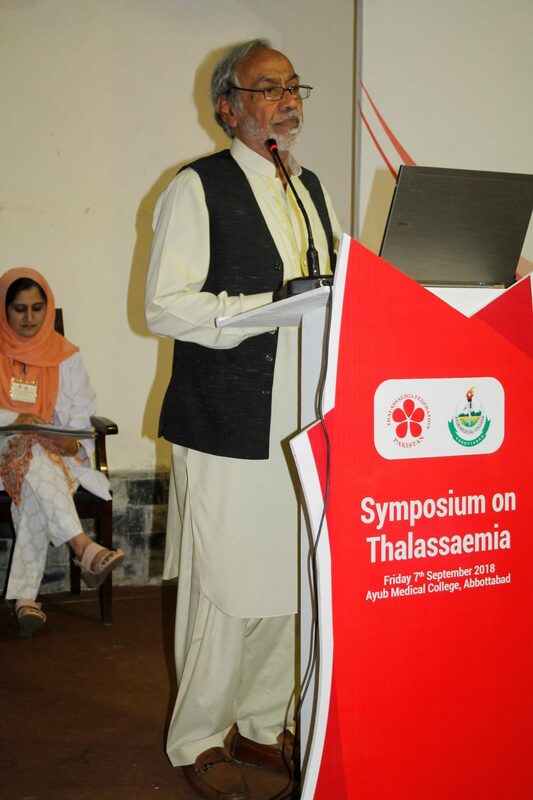 Khaliq, former Principal, Ayub Medical College, Abbottabad and Chief Guest of the occasion, highly appreciated the efforts TPP, DME and Pathology Department in arranging a symposium of Thalassaemia of a highest standard. 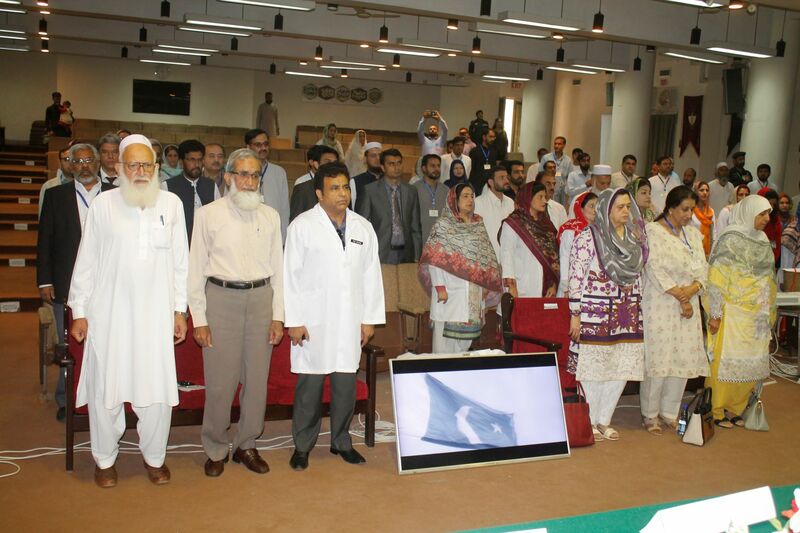 He said during his tenure as principal AMC, he organized similar activity in 1997 in which many eminent physicians participated. 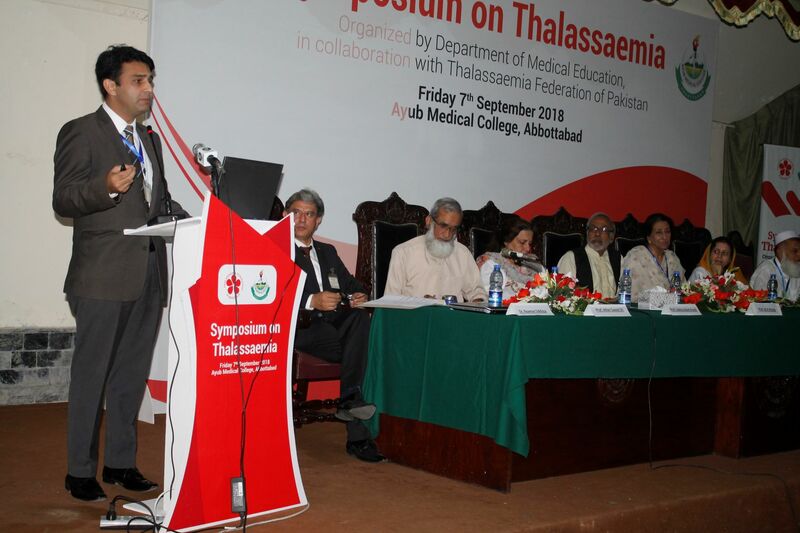 He wished deliberations made during this symposium will go a long way in fighting this deadly disease. 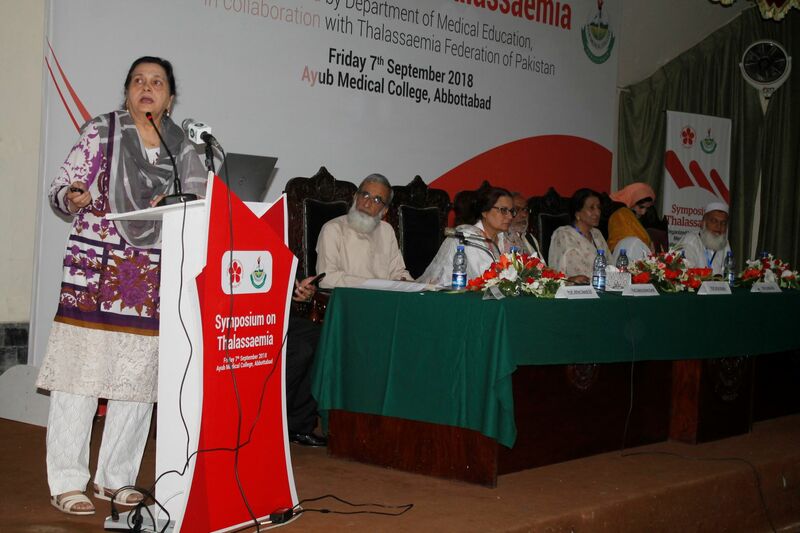 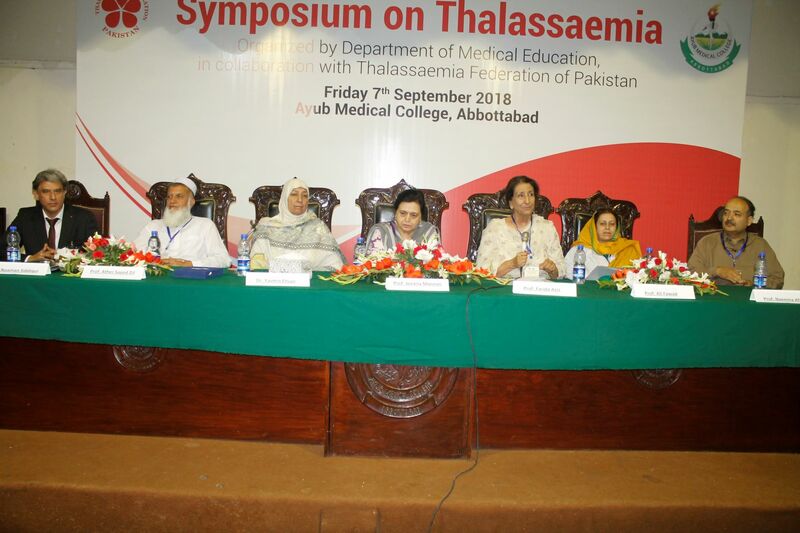 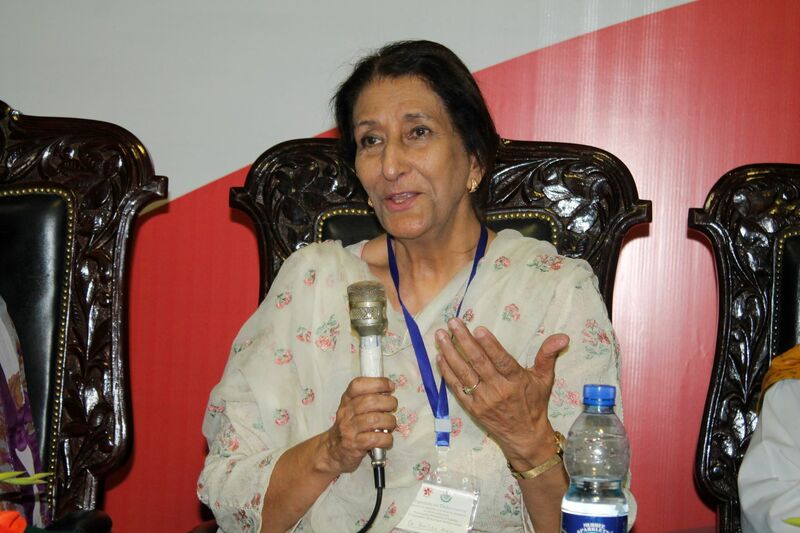 Eminent speakers and experts on Thalassaemia from Lahore like Prof. Jovaria Mannan, Chairperson, Medical Advisory Board, TFP, Prof. Yasmin Ehsan, in charge, Punjab Thalassaemia Prevention Program and Dr. Adil Akhtar, Consultant Pediatrician, Indus Group of Hospitals delivered talks clinical management on Thalassaemia, chelation protocols and prevention of Thalassaemia. 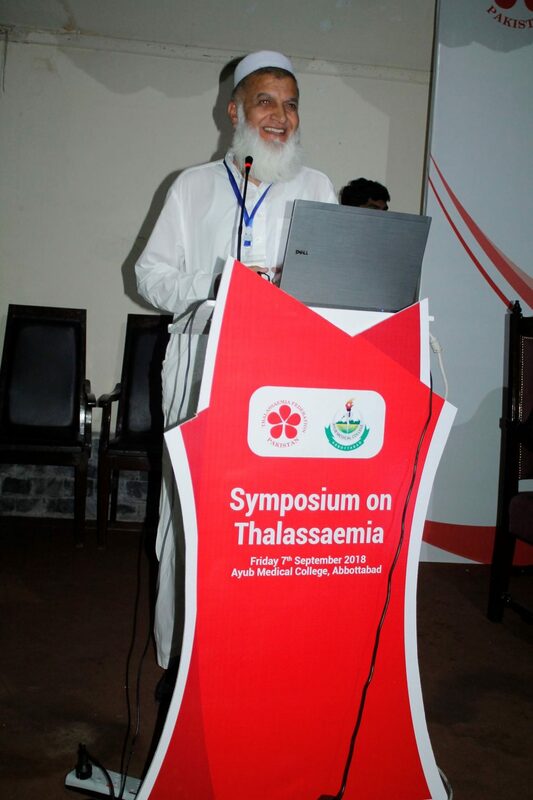 Prof. Ather Saeed Dil, Consultant Pathologist, Frontier Medial College moderated the sessions. 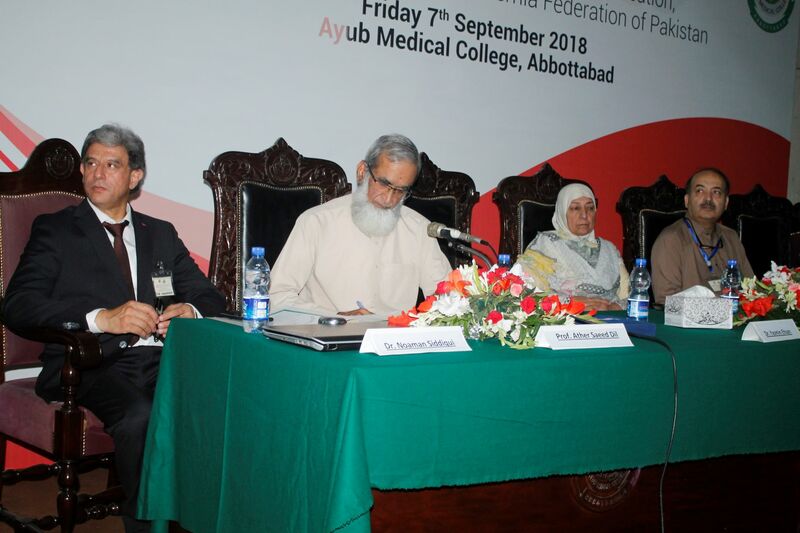 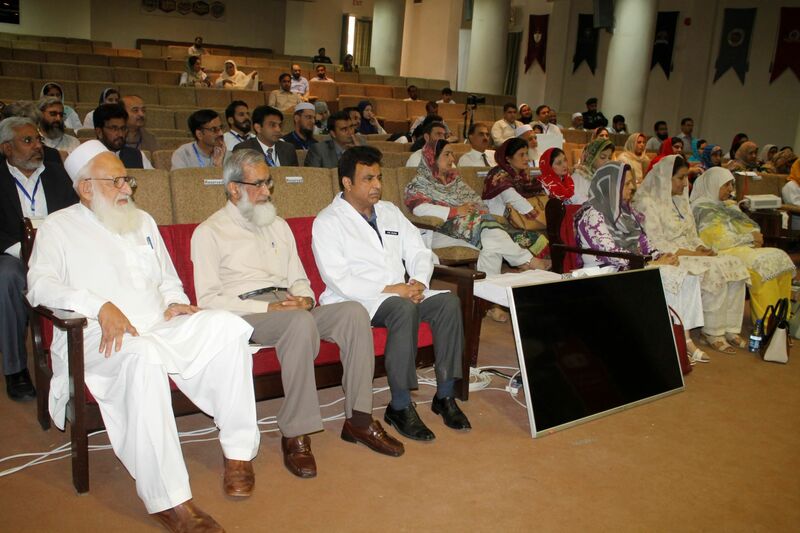 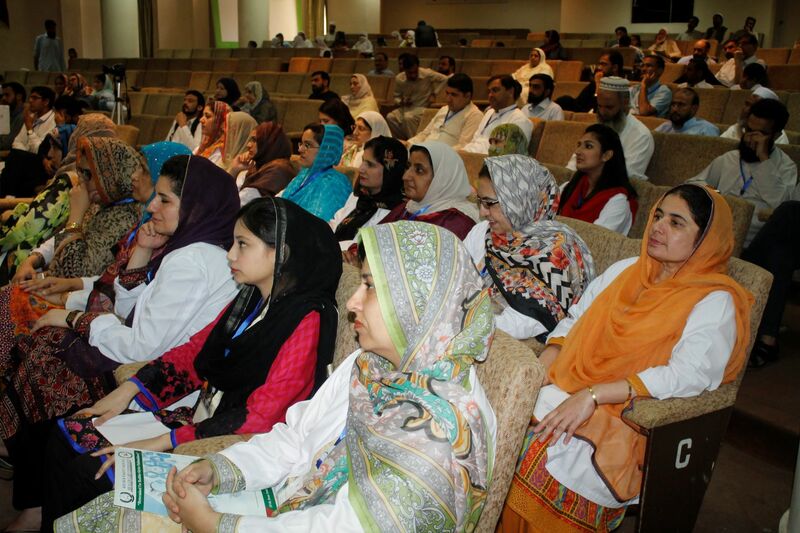 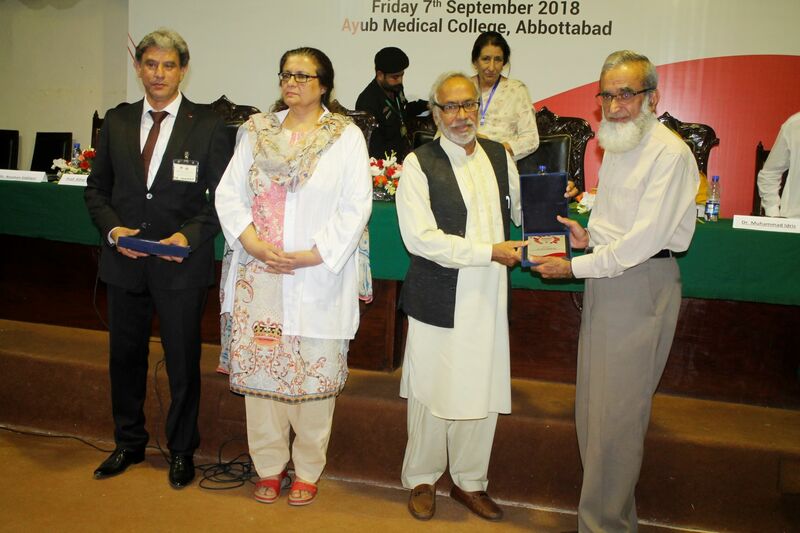 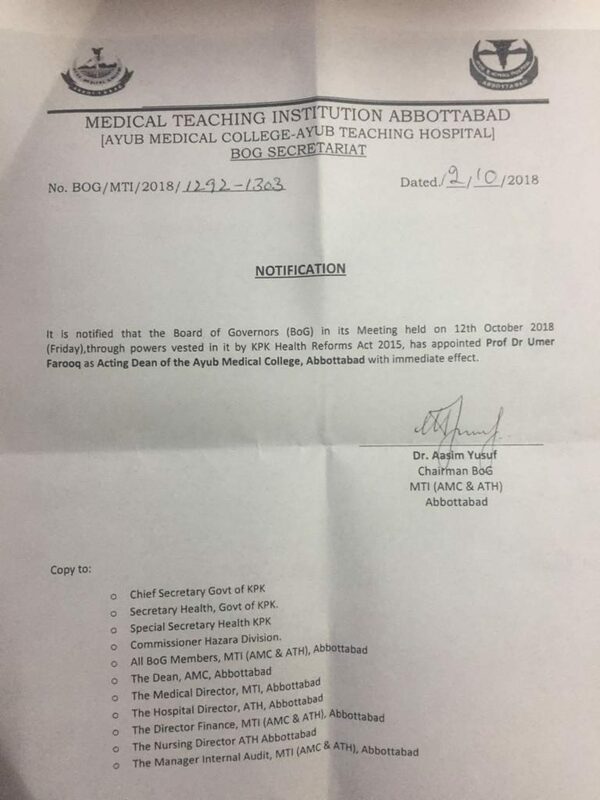 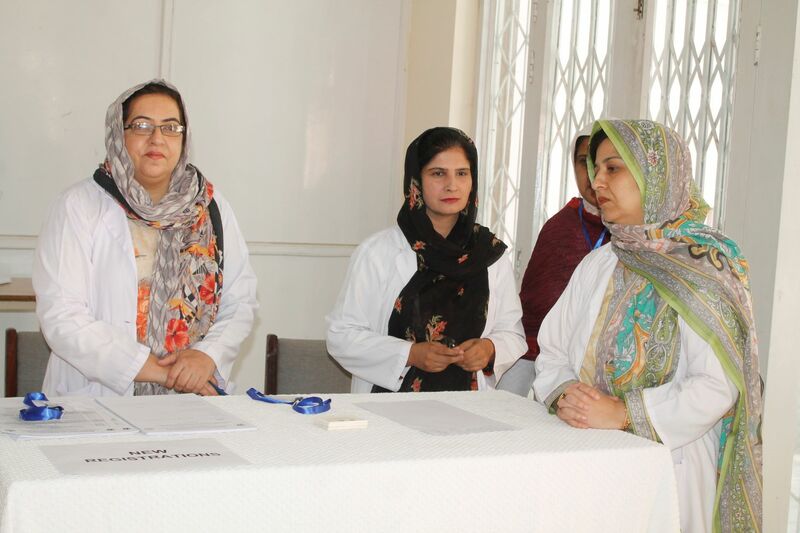 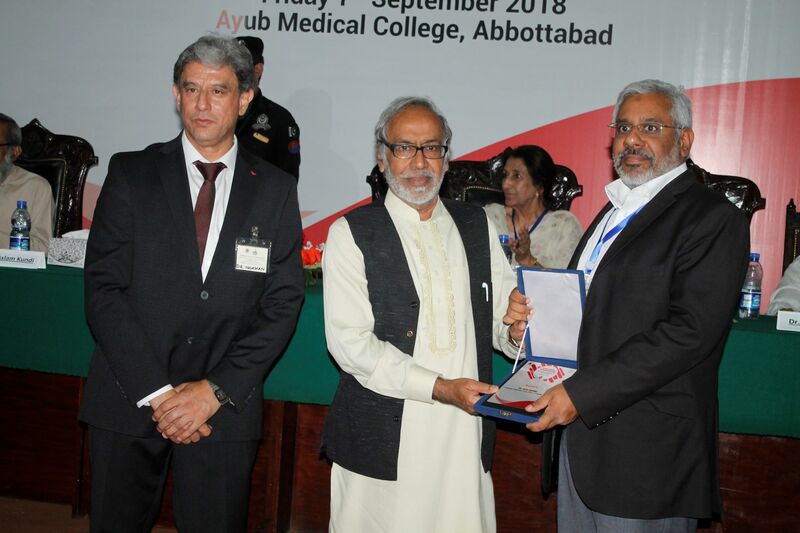 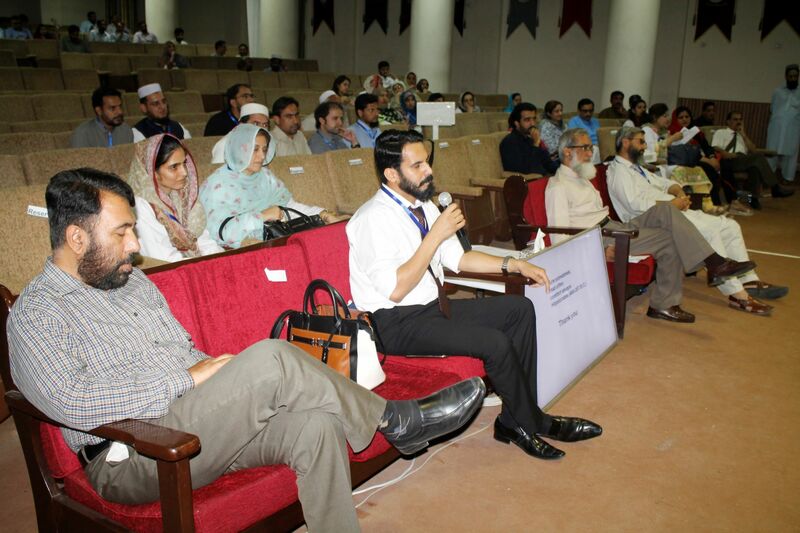 Present among the prominent physicians were Prof. Farida Aziz, Consultant Pediatrician, Prof. Raza Muhammad Khan, medical Director, MTI-AMI, Prof. Nasir Shah Kazmi, Dean Research AMC, Dr. Shaheen Mufti, Consultant Gynecologist. 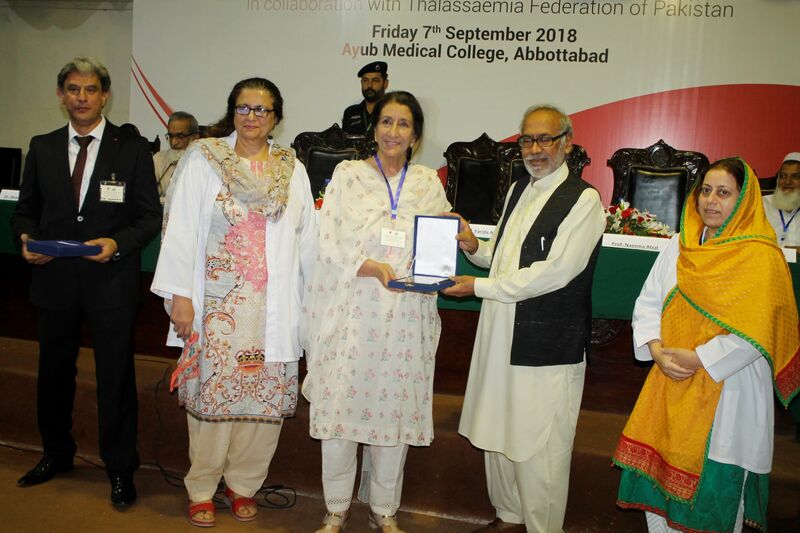 Shields and Certificates of Attendance were awarded to the speakers and registered participants with Four CME credit hours. 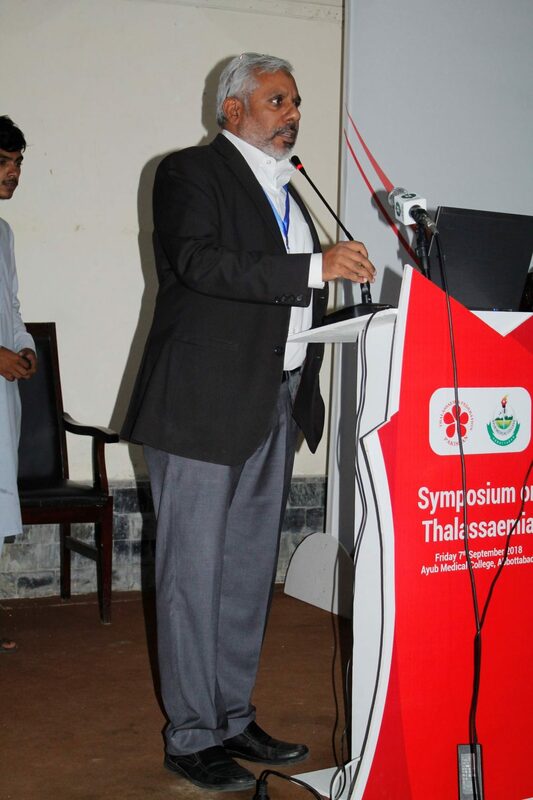 The Symposium ended with a vote of thanks by Dr. Noaman Siddiqui, Secretary Organizing Committee. 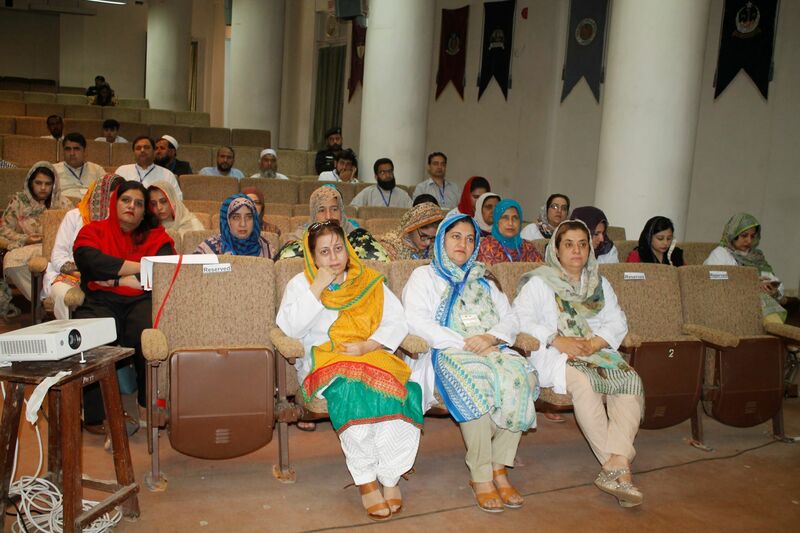 Following are captured moments of the event.